Are we missing any apartment resident events that have been popular at your property? We are always looking for new ideas to add to our list and would welcome any suggestions. To submit a resident event idea, please send us an email and we will add it to our list! Is your property in a city obsessed with college or professional sports? Get residents involved by putting on events and activities associated with major sporting events. While watch parties are a consistent theme, try to get amateur sports fans involved by hosting easy contests where anyone can participate. Here’s our run down of great sports related apartment resident event ideas. March Madness Challenge – create a NCAA bracket challenge for free on ESPN, Yahoo, or CBS and invite all your residents to participate via an email blast or post in your Facebook Group. Pick up a gift card or other prize for the winner and host a watch party for the Final Four or championship game. Celebrate Opening Day – kick off the launch of the baseball season, typically the first week of April, by encouraging residents to wear their favorite team’s colors. Show the games live on a common area TV and do a chalkboard poll letting residents vote on who will win the World Series. College Football Tailgates – choose a Fall Saturday and host a tailgate in the parking lot serving traditional tailgating foods like hot dogs. 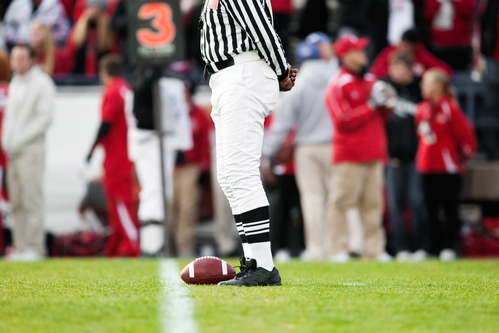 Have the event around lunch time then invite residents to watch college football games during the afternoon. This is a great event for student housing properties or properties in areas where college football is king. Everybody has to eat right? While hosting food related apartment events can be challenging, they are often a big hit, especially popular with Millennial renters who love experiencing new things. Even if your property lacks adequate space for a cooking class, there are still plenty of options to host food related events at your property. Here are our top food related apartment resident event ideas. Live “Best Of” Voting – host a party where residents taste pizza from local spots and have them vote on their favorite. If you ask nicely, local restaurants might even donate a free pizza for the event. Down the road, this event can be recycled for other popular foods such sushi, tacos, or chicken wings. 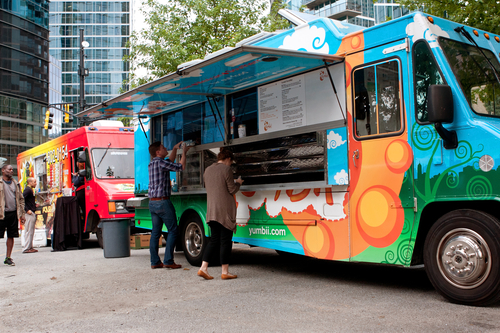 Food Truck Rally’s – invite local food truck owners to visit the property for a monthly food truck rally. Holding one during happy hour is also a great way to get residents to meet. This is also a sneaky marketing tactic because loyal food truck followers and non-residents in the area will likely attend as well. Ice Cream Socials – everyone loves ice cream, which is why an ice cream social or build your own sundae event are always a hit. If you have space at your property, consider an ice cream making class. Wine Tasting/Pairing – these are a great event that get residents interacting socially while also teaching them how to properly taste wines and pair them with their favorite foods. One way to coordinate this event is getting in touch with a wine sales rep who will often do this type of event for free! Cooking or Baking Classes – host a cooking class where residents learn the basics of cooking from a local chef or how to properly prepare a classic dish like lasagna or fettuccine alfredo. Pizza is another popular choice for cooking classes where residents prepare it during the class then take it home to bake. Holiday Cookie Exchange – have residents bake their best holiday cookies and bring them to annual cookie exchange. If you want to make things interesting, let residents vote on their favorite cookie. Another way to make this event a hit is doing it as a baking class. Chili Cook Off – find out which resident makes the best chili by hosting a potluck chili cook off. A great fall or winter event, try combining this with our sports related apartment resident events. This is also another event that can be reused every year or swapped out for other foods like guacamole or macaroni and cheese. Pet Costume Party – rather than having residents dress up, pet friendly properties can host a pet costume party. Make things interesting by having residents vote on their favorite and post a picture of the winner in the lobby. Psychic Readings – bringing in a psychic to do free palm readings is a surefire way to transform a boring Halloween party into a unique event residents really remember. 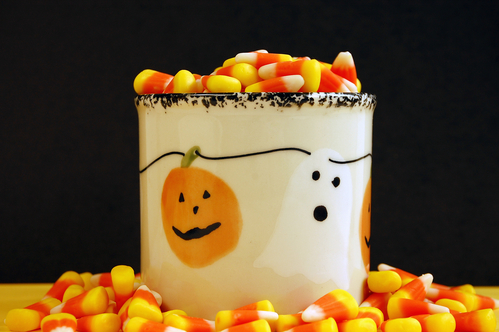 “Guess How Many?” Candy Jar – fill a jar with Halloween candy, put it in the lobby, and have residents place their guesses on how many pieces are inside. The resident with the closest guess wins the prize! Pumpkin Carving Contest – buy pumpkins, get out the knives, and see which resident can carve the best pumpkin. While the winner should get a prize, try to display all the pumpkins in the lobby or common area through Halloween. This is also a family friendly event that is great for kids. CPR Training – teach residents how to save a life by hosting a CPR training course at your property. It is crucially important this event is run by a trained and licensed professional. A great starting place for this event is by calling a local fire station. 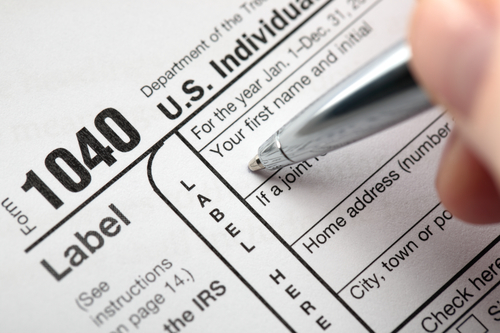 Tax Preparation – host a monthly seminar or question and answer session led by a local CPA or accountant on how to file income taxes from late January (when W2’s are mailed) until the first week of April right before taxes are due. Dance Lessons – hire a local dance instructor to teach a one time class where residents learn a classic dance such as the waltz, foxtrot, or tango. In addition to being a simple event to execute, it only requires open space and a budget, it is great way to get residents interacting. Community Fun Run – organize a fun run for residents who love to run and break down groups into amateur and serious runners. Consider entering a property based team into a local 5K charity race to raise money for the local community. To get a bit of free marketing, name the team after the property and do matching t-shirts. 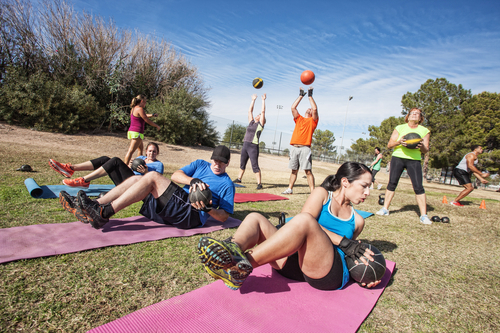 Workout Classes – partner with a local trainer or gym and offer a free workout class at your property. Depending on your property type and size this could be anything from yoga or pilates to a cross fit or boot camp style class. Many times trainers will do 1 free session at a property in exchange for exposure to residents. Casino Night – host a casino night where residents play with fake money that can be used to “buy” prizes at the end of the night. The best way to pull off this event is by hiring an outside service to come in and handle the logistics. This event also works well when held simultaneously with a poker tournament. Poker Tournament – crown a community poker champion at the annual Texas Hold’Em poker tournament. Invest in a big ticket prize like a flat screen TV, iPad, or Kindle that will make every resident interested in winning. 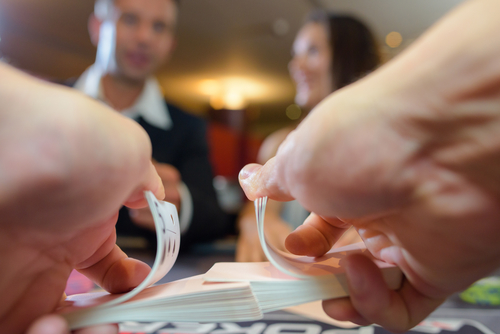 To keep residents who bust out early engaged, have a “busted tournament” start an hour into the event where the winner takes home a smaller prize. If you are unfamiliar with Texas Hold’Em poker, this 5 minute YouTube video from Poker VIP explains everything you need to know. Bond, James Bond – invite residents to get dressed up for a James Bond themed black tie party. Hire a bartending service to serve cocktails made famous by the world’s greatest spy including the “shaken, not stirred” vodka martini. Community Luau – breakout the free leis, tiki torches, and Hawaiian shirts for a community luau. Serve classic luau food and drinks such as chicken long rice, tuna poke, roasted pork, fresh pineapple, poi, and Mai Tai’s. Find a Hawaiian entertainment company offering hula dancers, fire dances, and Polynesian drummers to really wow residents. While most of the events listed so far have been great for adults, it is very important to get kids involved as well. This is because when kids are involved, so are there parents. Additionally, these events are also a great opportunity to interact with adult residents and even engage them about renewing their lease. Here are our top kid related apartment resident event ideas. 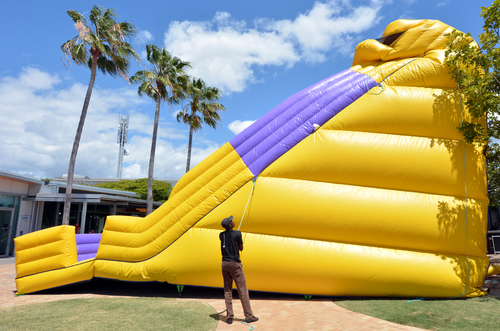 Bounce Houses – rent an inflatable bounce house for an afternoon and watch resident’s kids go crazy. To get residents without kids involved, combine this event with a BBQ, pool party, or other similar event. Photo Scavenger Hunt – pick up a few instant picture captures and have residents compete in a photo scavenger hunt. Try to incorporate areas of the property into the photo requirements when possible. After the photo scavenger hunt, display the photographs from the photo hunt in the lobby for everyone to see. Also, be sure to collect and save the cameras to use in the future. Talent Show – not only is a talent show fun for the kids, it also makes great entertainment for the adults. This is another event that is easy to execute and affordable. Video Game Tournament – choose one or two popular video games and host a tournament in your property’s common area or lounge. Make sure to include family friend games that are easy for everyone to play like Mario Kart or Wii Tennis. Rather than buying a video game system, even though it is a great addition to common area amenities, try borrowing one from an employee, friend, or relative. While this is listed as kid related apartment resident event, it is all inclusive and a great event for all ages! Family Movie Night – breakout the popcorn and projector with a family movie night. Try hosting this event outdoors in the summer time projecting the movie onto the side of the building. Family Dinner & Dance Night – get the whole family moving with a family dinner and dance night party. All this event takes is some open space, great music, and pizza delivery, making it a simple and affordable event to execute. End of School Pool Party – throw a pool party at your community pool when school ends each year to help kids celebrate their official start to summer. If you don’t have a pool at your property, hosting this event as a kids carnival (next on the list) is a great alternative. Kids Carnival – once a year, host a kids carnival packed with fun activities for kids such as face painting, a bounce house, or a petting zoo. Rent a cotton candy, popcorn, or snow cone machine for the event and have property employees serve the kids. Want to really make this event a hit? Contact the local fire station and see if they will bring a fire truck for the kids to explore during the event. Is our ultimate list of apartment resident ideas missing anything? Send us an email with events your guests love so we can add them to our list! Need Help Finding Qualified Contractors?